An insider’s glimpse into how the natural environment, energy, the economics of construction, and the processes of collaboration inform KieranTimberlake’s celebrated practice. 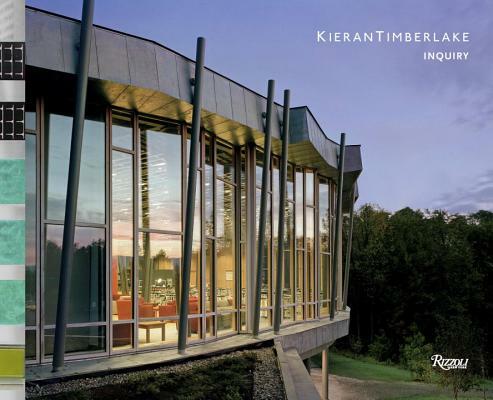 KieranTimberlake: Inquiry comprehensively documents the beauty and relevance of KieranTimberlake’s unique and celebrated vision. By undertaking a path of research into potential technologies that alter fabrication and delivery methods, and that influence the way we live in our environments, KieranTimberlake endeavors to reshape our expectations of architecture. Nineteen residential, commercial, academic, and civic projects are featured here, including the firm’s own dynamic studio; buildings for such prestigious institutions as Yale University, Cornell University, and the University of Pennsylvania; and the new U.S. Embassy in London. Stephen Kieran, FAIA, and James Timberlake, FAIA, formed their architectural practice in 1984. They both received the Rome Prize from the American Academy in Rome (1980 and 1982, respectively) and have taught at a number of schools, including Yale, Princeton, the University of Washington, and the University of Texas at Austin. For the past decade they have taught a joint graduate research studio at the University of Pennsylvania. They are the inaugural recipients of the Benjamin Latrobe Fellowship for design research from the American Institute of Architects College of Fellows and have received over one hundred awards for design excellence, including the Architecture Firm Award from the American Institute of Architects and the Cooper-Hewitt National Design Award. Karl Wallick, AIA, is an assistant professor of architecture at the The University of Wisconsin–Milwaukee. His courses focus on integrating technology and design through artful detailing. His research utilizes the tectonic fragment as both a constructive and narrative device to investigate topics related to building technics, detailing, and drawing. Designed by Alex Cohn and Karl Wallick.